This article will guide you through the process of integrating Azure's Text Analytics API with the controls from the Telerik UI for WinForms suite. Before you start, you need to create a new Text Analytics API account through the Azure portal. This is explained in great detail here. Once you've created the account, you have to obtain the subscription keys that were generated for you. You will require them later on in order to make API calls from your application. 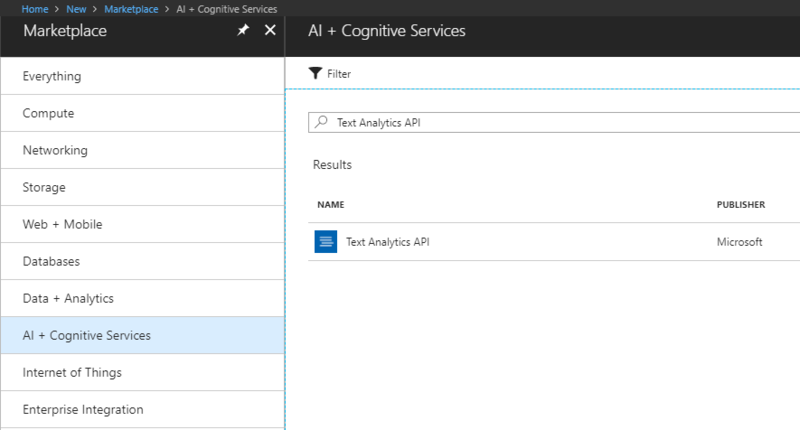 You can now add the Microsoft.Azure.CognitiveServices.Language NuGet package corresponding which provides access to the Microsoft Cognitive Services Language APIs. Mark the Include Prerelease checkbox. The package requires a .NET Framework version equal or higher than 4.5.2. If you're using a lower version, you will need to call the HTTP endpoints directly from C# and serialize and deserialize the requests and responses similarly to the example found in the Image Analysis article. The following code demonstrates how to handle the button's Click event and use the Text Analytics API to analyze the text input in the RadTextBox. This is all, you are ready to test the application.